Fajardo, Puerto Rico – After a successful 2017, WBA #15, Alfredo ‘Ojo’ Santiago and blue chip prospect, Subriel Matías Matthew, will be defending their respective undefeated records on Saturday, February 17, 2018 at the Municipal Equestrian Park of Fajardo,PR as part of a card promoted by Fresh Productions. Matías (8-0, 8 KO’s), will face Colombian and former world title challenger, Daulis Prescott (31-6, 23 KO’s) in a 10 rounds bout at the junior welterweight division. In 2012, Prescott had the precious opportunity to fight for a world title against Jamaican, Nicholas Walters, who beat the brave Colombian by TKO in the seventh round in a match held in Jamaica. For his part, Alfredo Santiago (8-0, 2 KO’s), will measure forces against former world title contender, Juan José Montes (25-6-2, 15 KO’s) of Mexico, in a 10 rounds fight in the maximum weight of 133 pounds. Montes, was a world title challenger in 2011, when he faced former WBC champion, Tomas Rojas, who retained his belt by technical knockout in the eleventh round in Mexico. “We are bringing good fights because they are very experienced opponents for Santiago and Matías so that the fans can have a good action evening in Fajardo. Here we care about the proper development of the fighters and at the same time, that provide exciting fights in that process. ‘Ojo’ and Subriel have proved to be on another level. They have already beaten former Olympians, prospects and contenders, and that same quality is what you will get on February 17. My fighters have to fight, and fight hard” said Fresh Productions promoter, Juan Orengo. Campaigning at lightweight division, Santiago, native of Moca, Dominican Republic, has three notable victories over: former Mexican Olympian, Arturo Santos Reyes, world contender Jayson ‘La Maravilla’ Velez and the always seasoned, Andrés ‘Pajita’ Navarro. Junior welterweight Matías Matthew, defeated in his fourth professional fight and against all odds, the rising prospect, Jeffrey Fontánez from Caguas in a crowed brawl that ended up with a technical knockout in the second round. 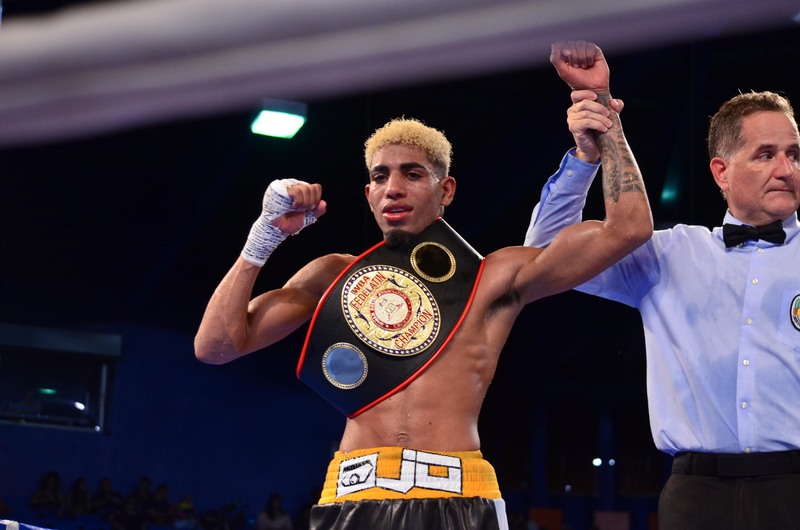 In his last presentation, held last November at Hotel Jaragua at Dominican Republic, Matías Matthew, scored a technical knockout in the second round over former Olympian, Patrick Lopez from Venezuela. Tickets ($ 20 and $ 25) available at PRticket.com or by calling 787-303-0334.